This Web Threading Plate is probably two or three times stronger than the metal plate that’s on your gear at present and much stronger than the plastic ones. If you want to retrofit your gear with a stronger component that won’t corrode, this baby is the answer. If you are making your own webbing strap or tie-down assembly, this part can be an integral element. 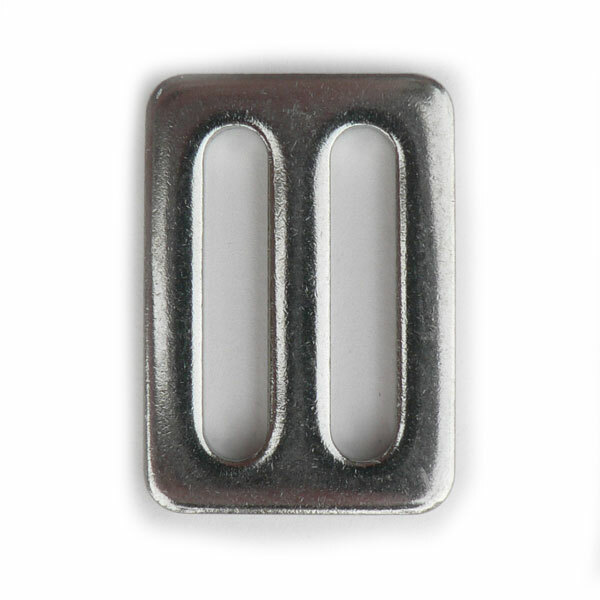 If you loop your webbing through one slot and secure the loop with a stitch or another one of these threading plates, the other slot can accept the hook end of our Flat Hook (BPS0210-0025). This provides a simple and strong quick connect junction. 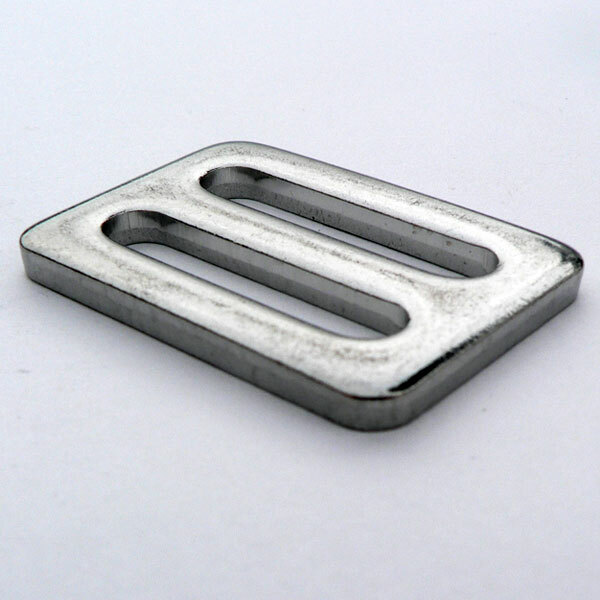 This is a straight forward, strong, multi-purpose and functional part. This part is a heavy gauge, superior material, application of a tried and true design. 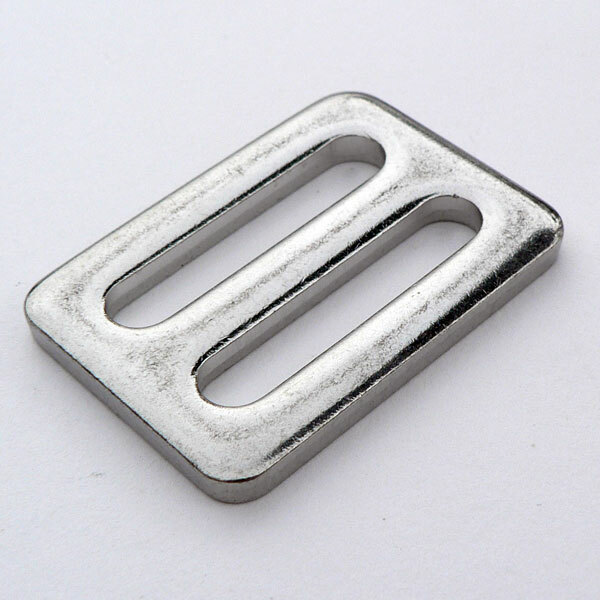 See also our Titanium Web Threading Plate ..